Supporters of Catalan independence have begun occupying polling stations in a bid to protect Sunday’s vote from a crackdown by the Spanish government. The vice-president of Spain’s secessionist north-eastern region warned that backers of Catalonia’s independence would cast their ballots even if national police “took voting stations by assault”. 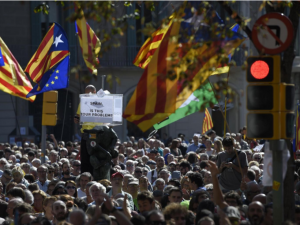 Politicians in Catalonia have insisted the referendum will go ahead, despite Madrid attempting to shut down what they said was an illegal poll. 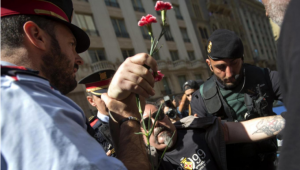 Catalan authorities said the majority of eligible voters were expected to take part, and they would declare independence within 48 hours after announcing the vote’s results, if the yes side wins. Madrid’s culture minister Inigo Mendez de Vigo, acting as a spokesman for Spain’s cabinet, accused the secessionist coalition ruling Catalonia of bending the laws to go ahead with a vote regardless of warnings from courts and a suspension by the country’s Constitutional Court earlier this month. 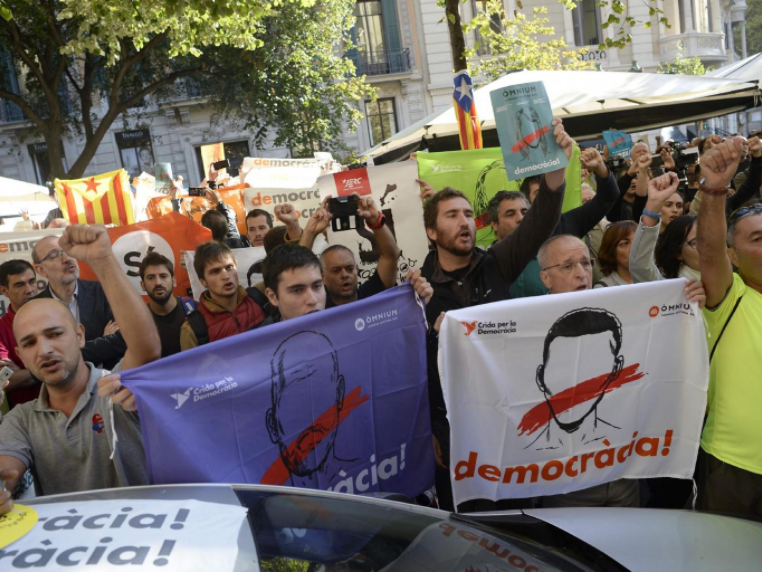 The Spanish government has fought the referendum with a myriad of legal actions, and last week the Guarda Civil stormed Catalan regional government buildings. “The government has a constitutional mandate to enforce the laws maintaining civic order,” Mr Mendez de Vigo said. However, Catalonia’s vice-president, Oriol Junqueras, said Catalan citizens will be able to vote “even if somebody takes voting stations by assault and tries to avoid something as natural as placing a voting slip in a ballot”. 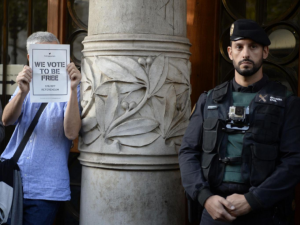 Reports from the AFP news agency that Catalans were occupying polling stations to protect the referendum followed a warning from Spanish police that they would take control of voting booths to help thwart the planned independence vote. 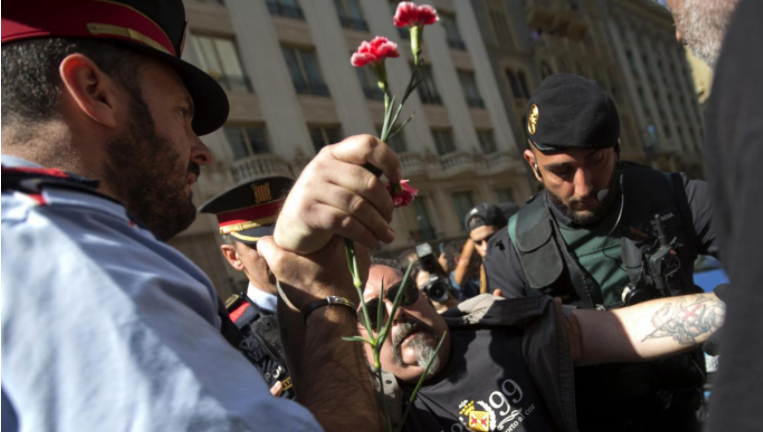 Spain’s constitution says only the nation’s government can call a referendum on sovereignty. Police forces acting on judges’ orders have seized ballots and arrested regional officials in the crackdown. Mr Junqueras said an internal poll showed more than 60 per cent of the 5.3 million eligible voters plan to cast ballots. He displayed a prototype of the plastic ballot boxes planned for more than 2,300 voting stations. A senior European official, meanwhile, said any moves “should be done in accordance with the constitution of that member state”. 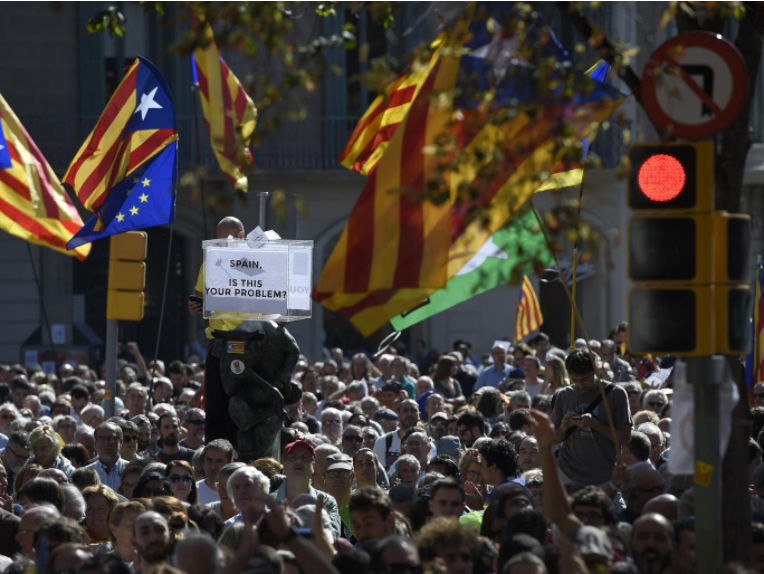 In Madrid, a Spanish conservative group set up a large, mock ballot box in the centre of the city and urged people to vote whether they want Catalonia to remain part of Spain. ← Former Google employee engineering his own A.I. Religion?